Quality vs budget. I want to change the competition between these two options to Quality within Budget. I'm sure you have addressed the issue several times over in your businesses, "how much should I be spending on the right marketing tools" and "should I be investing that money elsewhere?" Investing money in the right marketing tools is one of the most important parts of your business. The internet is your shop front to the world and with the amount of competition out there, you want to ensure your property, hotel or product has the best chance of being noticed. Research shows that people are likely to spend 3 times longer on a website with virtual tours and that the amount of clicks to a website increases by 48% when there is a quality eye catching photograph. Marketing tools will not only make you stand out from your competitors, it will return your initial investment with new clients and earn your current clients ongoing loyalty. The problem is we don't all have thousands to spend with advertising companies and we tend to start doing these things ourselves with out much success. I believe that everyone should have access to these tools regardless of budget. I cater for what your needs and costs are as an individual business. I have put together new marketing bundles that work with a range of different budgets. They include photography only packages to social media sharing, to virtual tours, blogging and videos. Metro East - Investor Secret...until now! I have plenty of OFF MARKET properties in the St. Louis region (Missouri and Illinois) that will earn you a 12%+ CAP on your initial investment, starting at 38K. Most of these properties have a complete renovation with tenant in place. I've sold countless properties to investors who are extremely satisfied. Renovations typically include new siding, new flooring, new windows, new kitchen cabinets...new everything! Please no contract for deeds of any sorts. If you are interested, send me an email, or just give me a call! The Metro East is a region in Illinois that comprises eastern suburbs of St. Louis, Missouri. Investors find the Metro East to be booming with potential. While the Missouri side of the region is flooded with investors, the Metro East is a well-kept secret…until now. Property values are stable, and on the rise. The price to “buy in” to this area is relatively low compared to other metropolitan areas, and rent rates are competitive. With a large number of higher education facilities in the area, the student population is ever-increasing, making the need for housing on the rise. According to an April 2015 RealtyTrac report, the Metro East shows as an area of “High Return” compared to all U.S. markets. With a steadily increasing population, a high-demand job market, and exceptional higher education facilities, the Metro-East maintains competitive rental rates compared to other U.S. cities. Coupled with prices below the U.S. average, the Metro-East is a great choice for investors. Good news as the rebirth of this once great motor city continues to gain traction, with money pouring in to Michigan’s greatest city things are looking up for Detroit. As the revival grows Detroit is becoming a magnet for outside investment, and there are great opportunities in the residential real estate market. Detroit tech companies are expanding at the same rate as Silicon Valley, start-ups are on the rise and the rebirth of motor industry, alongside the urban gentrification of the riverside and the redevelopment of iconic buildings means that the mood is upbeat. Detroit is even attracting New York hipsters, priced out of Brooklyn who are keen to take advantage of the business opportunities and cheap rental housing. Detroit is expected to grow at 2% higher rate than the rest of the US and as Sandy Baruah, CEO of the Detroit Regional Chamber, said that Detroit has been described as “an emerging market that happens to take dollars”. Indeed Detroit is now seen as a rare growth area within North America with lots of potential at low cost, making it a very attractive region for investment and the real estate market is ripe for investment. What better time than now than to get in on the act and buy good quality, low cost, high yield rental properties. We have some amazing opportunities including beautiful, brick houses for only £20,000 fully tenanted and managed by professional management companies. Increasingly clients are looking for ready-made portfolios and we have put together some amazing package deals of low cost, high yield multiple buys in good quality areas. For £67,000.00 you can invest in 80% of three fully refurbished houses with finance, land contract with a year guaranteed rental and a year’s maintenance guarantee. With NET yields of 20% the first year’s rental income pays for the rest of the investment and with our track record of over 99% tenancy for our properties means that your tenant is likely to stay put. “The time is now to invest in Detroit, and if Warren Buffet says he’d invest in Detroitwho are we to argue! There are so many great opportunities for overseas investors keen to get in on this growing economy. We are lucky enough to great contacts with suppliers of good quality housing stock that comes fully tenanted”, says Darren Brown, CEO of PCG Invest. For other reviews of the service provided by PCG Invest please go to Trust Pilot https://www.trustpilot.co.uk/review/www.propertyconsultantsgroup.com. PCG Invest provides income ready property investments in the US for overseas investors. For more information about how the process works please go to http://www.pcginvest.co.uk/property-management. · and you will be connected to a professional management company to look after your property and tenants. The best city in the world to live in Spain is: is Palma de Mallorca. That, at least, is what ensures the British newspaper The Times, which has published its list Sunday 50 favorite cities. "The capital of the Balearic Islands has a picturesque old town with beaches that can be reached on foot and with an exceptional climate," says The Times in its annual supplement. Palma outperforms rivals Toronto (best destination for urbanites), Auckland (the best maritime city), Hoi An in Vietnam (the bow of gastronomy) and Berlin (the best big city on a tight budget). The list have made the team in travel journalists of The Times, who have used various statistics about the quality of life, infrastructure, food, climate, environment and the ease of "assimilation" of the British. "That makes it our favorite destination," concludes the newspaper, Palma qualifies as "one of the most picturesque cities of Spain". "We live in an increasingly globalized world with the digital economy, so that the potential for year-round living for several months or weekends are increasingly handy places," writes the director of The Supplement Home Times, which recommends Mallorca for holidays or to go to live. The Corporate Real-Estate Opportunity in the U.S., The European Diversification. The next seven years will bring a growth cycle of real-estate investment in the U.S., that will be driven by several factors and in different areas. These will stem from a growing appetite for real asset investments, foreign investment, geographic diversification and macroeconomic events. “For the first time since 2009, the U.S. was the top destination for capital going into real estate markets, according to Cushman & Wakefield’s annual report”. Source WSJ, March 11, 2015. • Taking advantage of the rising dollar. • Diversifying from the euro € and ECB risk. • Revenue recognition outside of the EU tax base. • Off-setting U.S. Tax liabilities by balance sheet real-estate investments. • Leveraging ROI on liquidity for cash flow businesses. In the 1990’s, U.S. Corporations underwent a similar expansion process into Europe. This time, the expansion phenomena will be European corporations expanding into the U.S., albeit the reasons and drivers being fundamentally different. These European expansions/exodus will come in the form of large corporations accelerating investments and SMB’s (small & medium businesses) that will be new players in the U.S. This, especially in the SMB market, will create a need for a new approach to serving expansions that go beyond simple relocation, site selection, etc. The gap of what is normally delivered by economic development organizations and real-estate teams will need to be filled. • Agent network to support U.S. Wide coverage. • Handholding of employees across professional and personal needs. • Helping companies build there supply-chain in the U.S.
• Helping companies with U.S. Compliance & Regulations. • Deliver to relocation needs and temporary transition needs. This can be a new era of Corporate Real-Estate business models and teaming opportunities. International investors dominate the industry motivated by the low prices. There is increasing interest from us buyers in Spanish coastal areas Barcelona, Ibiza, Costa Brava, Marbella and Mallorca, pockets of real estate investment. 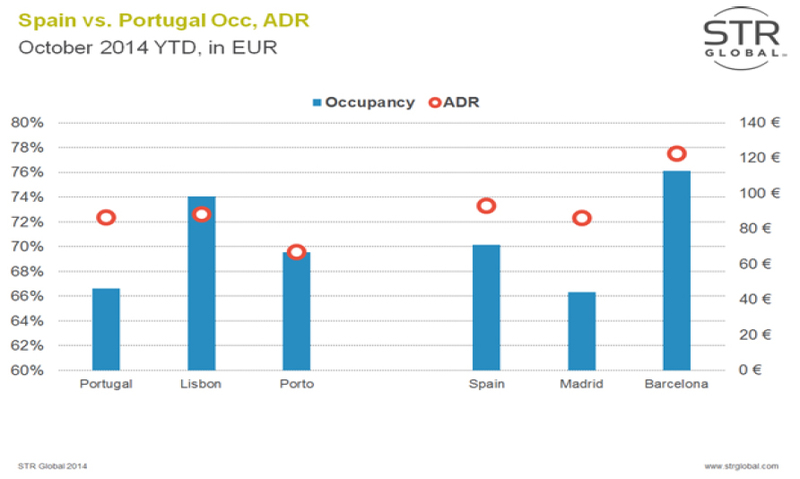 Real estate prices of luxury in Spain have been stable in the first half of 2014, according to the Lucas Fox real estate agency in Barcelona. The transactions are increasing in all its areas of reference to measure that reduces the gap between prices of output and sales. International customers represent 90% of the sales of Lucas Fox and the interest of investors in Far East and Middle East is gaining momentum. 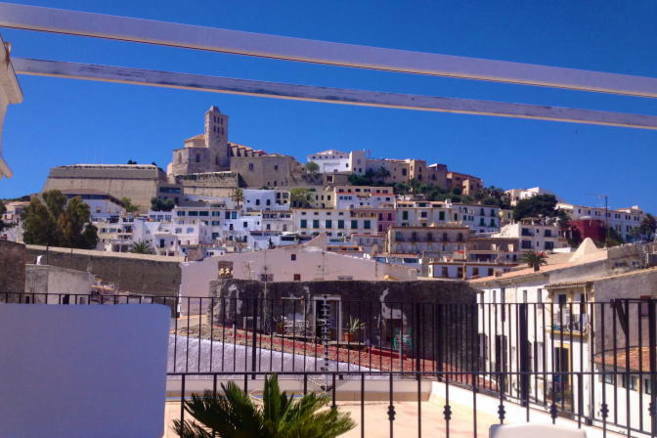 The residential market of Ibiza continues to grow with strength, with an increase in transactions compared to the same period in 2013. The prices of the luxury properties in some important areas begin to increase as demand exceeds supply. The interest on the part of us buyers has doubled.